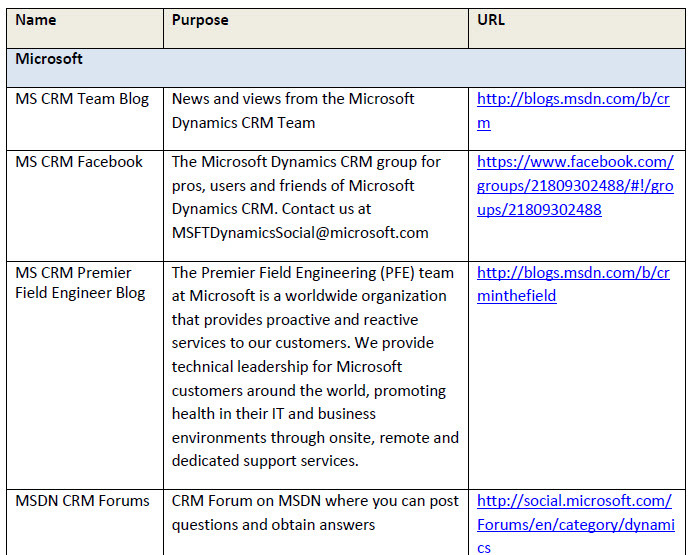 It is week 25 in the review of the CRM Field Guide chapters from the book – The CRM Field Guide – How to CRM Like an MVP with Microsoft Dynamics CRM. This week it is the 28 page Community Resources chapter. This week completes the reviews of all 25 chapters of the book that I have blogged about over the last 6+ months. It has been a great learning experience for me personally. Even though I have been working with CRM since v1.2 in 2003, there isn’t a chapter in the book that I didn’t learn a new tip, trick, or best practice from my fellow CRM MVPs. The learning curriculum will be published in about 2 weeks. It is fitting that we wrap up the book review with the last chapter on Community Resources. The resources referenced in this chapter was assembled by asking MVPs to submit the links to the resources we use. 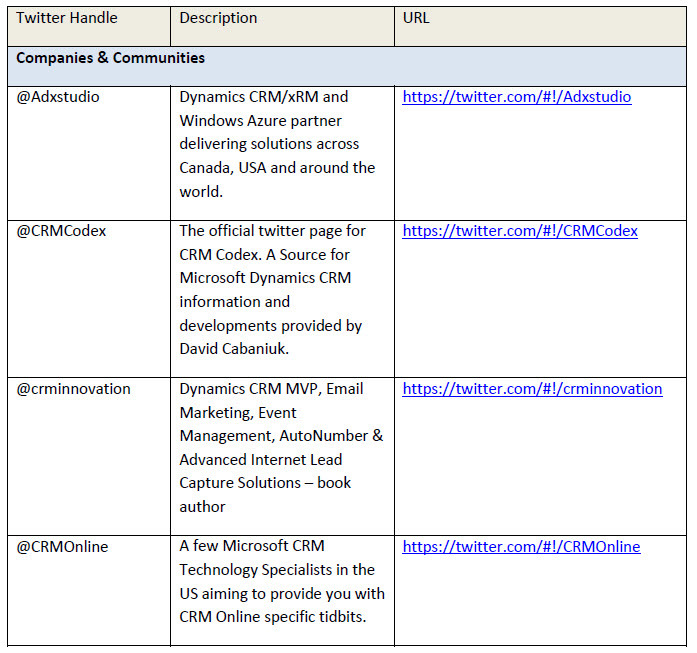 So you get twitter handles, blog posting urls, CRM Team and Microsoft sponsored content links. Along information and resources directly integral to the product like the SDK is online. At our company this is one of the first ‘tools’ we provide to our new members to our CRM team to get them ramped up quickly and listening to all the CRM chatter and insight.